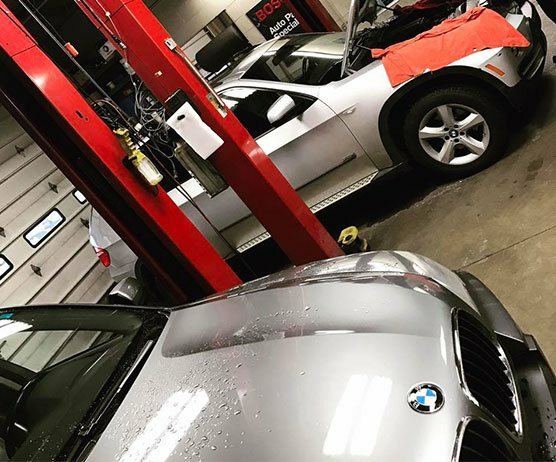 If you're looking for an honest, dependable and trustworthy Kentwood auto repair facility, consider Arie Nol Auto Center. We are a family-owned and operated business located at the corner of 52nd St and Eastern Avenue in Kentwood, MI. Established in 1976, we have been providing our friends and neighbors in Kent County with expert, top-notch and affordable auto repair and maintenance services for both domestic and import vehicles. 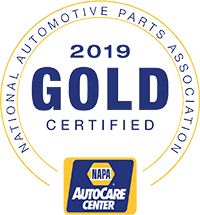 We are a NAPA Autocare Center and an AAA Approved Facility. 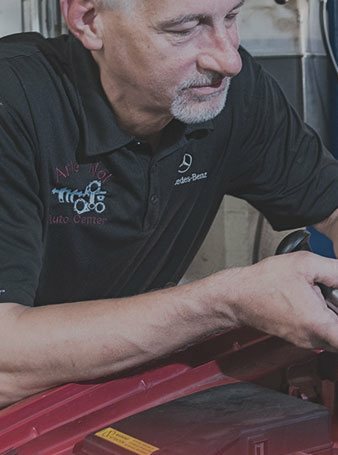 We have a team of experienced and ASE-certified technicians who use only state-of-the-art equipment when they are working on vehicles. They thoroughly evaluate each vehicle to ensure it is repaired correctly the first time. We are focused on creating a comfortable environment that helps create a positive experience. Our goal is to make sure the customer is educated about our auto repair and maintenance services. We believe in partnering with our customers in order to help them make informed decisions about their vehicle’s repairs. We invite you to spend some quality time in our comfortable waiting area, while our technicians are fixing your vehicle. There you can enjoy our various amenities, including fresh ground coffee from Grand Rapids Coffee Roasters, hot chocolate, tea, snacks, TV, water and free Wi-Fi. We offer a complimentary shuttle service to customers who simply don't have the time to wait for their vehicle to be ready. We also have several loaner cars prepared for our customers in case their vehicle needs to stay at our shop for a couple of days. Last but not least, all of our repair and maintenance services are backed by a 2 Year/24,000 Mile Nationwide Warranty on parts and labor. 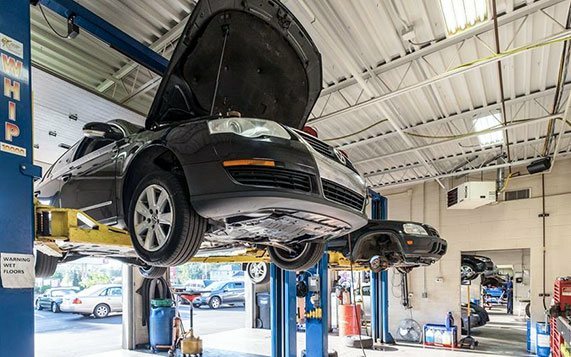 Call us today or stop by our friendly and convenient location in Kentwood, MI to see what makes us stand out from the rest of the shops in the area! "I have nothing but great things to say about this place. I struggled to find someone trustworthy to work on my Audi, I could tell you about all the horror stories I experienced at other shops including the local Audi dealer. But why waste our time. This place is top notch. I like that I have been able to speak with the person who works on my car. Also, ALL the staff is knowledgeable and friendly. I highly recommend this shop, especially if you have an import." "We have taken both of our cars to Arie Nol's for the last 3 years and have had exceptional service. They are a family owned business and it shows. Father and son run the front desk and they are extremely accommodating, honest and fair. They don't up sell you and you can tell they would rather have you as a long time customer and return having been satisfied then make the quick extra buck on trying to add onto what you were there for in the first place. I highly recommend getting all your car service needs taken care of here." 5 Star Review by Nichole K.
"The service is unbeatable! I have been going here for 13 years and have never had an issue. The staff is so polite and knowledgeable, I recommend them to all of my family and friends. I drive older vehicles and they have always been spot on with the vehicles issues. Cameron has been so willing to answer all of my questions, they even helped me purchase another car with great recommendations and inspections. Don’t look any further then Arie Nol’s." We have invested in specialty, dealer-level diagnostic tools to provide innovative solutions for all brands, including BMW, Mercedes-Benz, Volkswagen, Audi, and Jaguar. Arie Nol offers dealer-level diagnostics at an affordable price. Our team of reliable ASE Certified automobile technicians and service consultants thoroughly evaluate each vehicle to ensure it is repaired correctly the first time. All of our technicians and service consultants are ASE Certified, completing multiple exams and acquiring relevant work experience. To remain certified, ASE Certified professionals must be retested every five years. We pride ourselves on providing warm, professional customer service. Arie Nol Auto Center is proud to be the recipient of the West Michigan Better Business Bureau’s 2016 Torch Award. The Torch Awards recognize businesses that demonstrate an outstanding level integrity and exercise ethical business practices in all of their dealings. Torch Award candidates must be nominated for the award by an outside party and meet all 6 criteria for ethical business practices as determined by the BBB. The West Michigan BBB covers an area consisting of 38 counties. At Arie Nol, customer service is our top priority! Our staff has no sales quotas. Our focus is your vehicle; we will not up-sell you on unneeded repairs or maintenance. 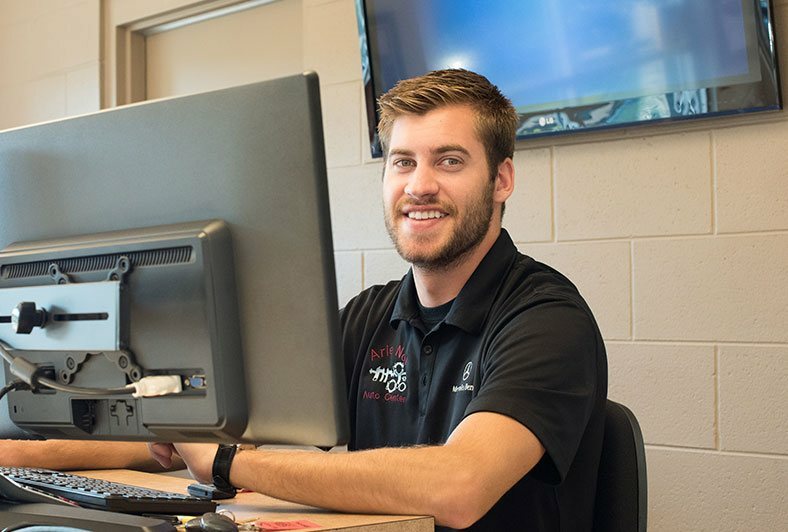 Our friendly, experienced service writers/technicians listen carefully and work with you to get your vehicle repaired or maintained correctly the first time. While your vehicle receives the best service, wait for your car in comfort. Arie Nol offers a customer lounge with cable TV, reading materials and wireless internet access. Enjoy a fresh cup of flavorful, locally roasted coffee provided by Grand Rapids Coffee Roasters. Toys are available for customers with children. Wait in style. Sip premium coffee and stay entertained with Wi-Fi, cable TV and ample reading materials.